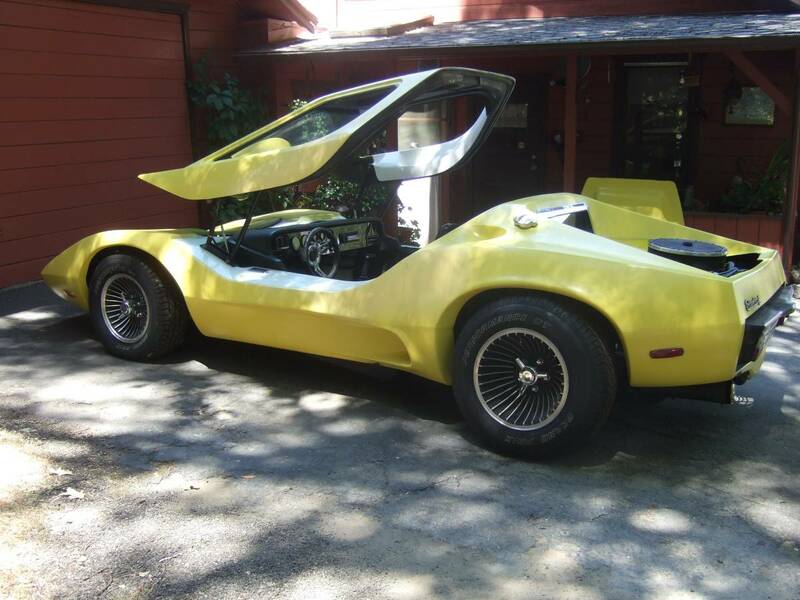 The shape you see on the screen first appeared as the Nova kit car, produced in the UK by Richard Oakes and Phil Sayers using a swoopy fiberglass body, and Volkswagen Beetle chassis with buyer provided running gear. The same design was later branded as the Sterling, Cimbria and Purvis, and apparently you can even buy a new one today. 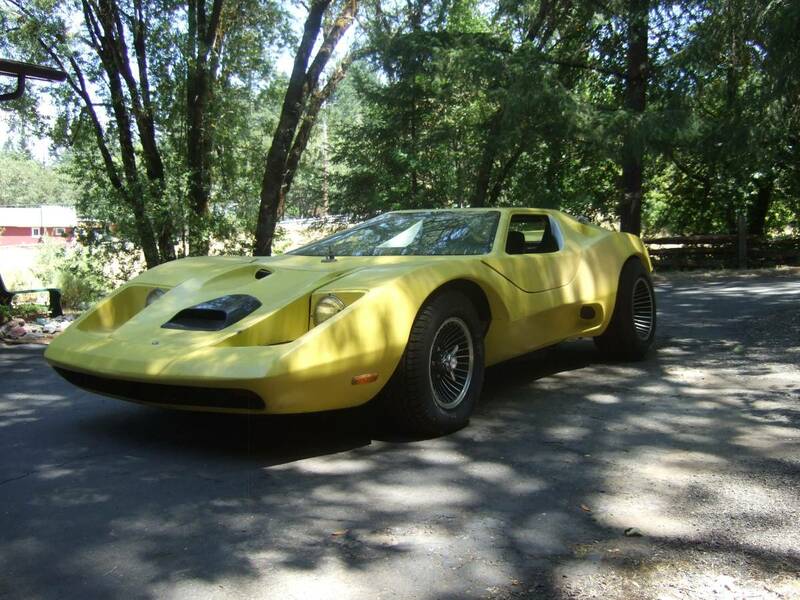 That sounds expensive, so I'll stick to the old used examples like this 1968 Sterling Kit Car offered for $8,500 in Mendocino County, CA via craigslist. Tip from James. I wonder if anyone ever rigged up a way to drive the thing without the roof / windshield / door thing? I think they make an aftermarket replacement top that turns it into a vert. I prefer the look (and I'm sure it's a lot less claustrophobic!). Still, the original lines of the coupe are amazing. These always looked like so much fun. Turbine wheels with spindles look about perfect on this car.